At PGL Adventure Camps, we see children from all walks of life embarking upon their own personal journey of development. For some, it may be their first time away from home, for others it’s a welcome break away from the classroom, and for many children, it’s a chance to see themselves in a new light. Students who don’t always engage academically, who come from troubled backgrounds, or are disruptive in school, have the opportunity to explore their abilities and behaviours in a new environment, away from the distractions of home and school life. Firstly, there are the adventure activities. 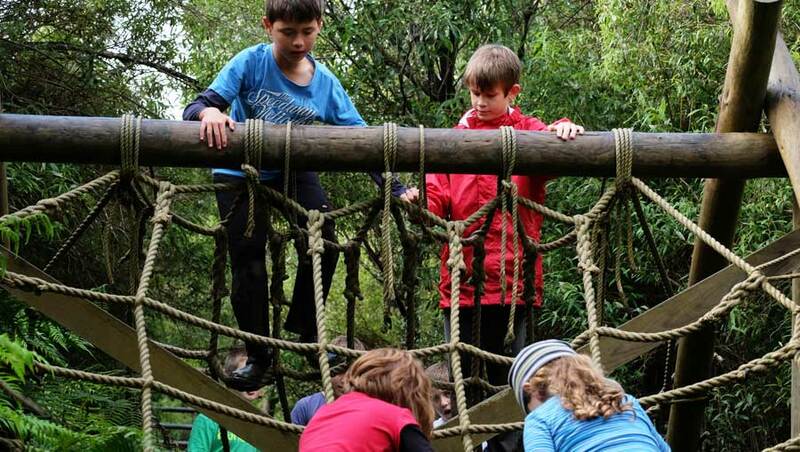 It might be conquering the mud run, facing a fear of heights on the flying fox, or discovering a flair for archery or canoeing that creates the feeling of success and achievement. And each new day brings a new challenge and another chance to build confidence. Stepping outside of their comfort zone and understanding that anything is possible when they try, often brings out the best in young people. Teamwork and communication are the key ingredients to overcoming many of the challenges on camp, and through working together and encouraging positive behaviours, children learn respect, tolerance and the value of peer support. Sharing living space, eating together and spending time with each other, enables new friendship groups to develop, and self-reflection becomes more important as they start to understand each other’s strengths and weaknesses. A bush camp at PGL Camp Rumbug is a particularly great way to engage students in looking after each other, as well as themselves. The rainforest is a uniquely inspiring and grounding environment, where students can not only learn key wilderness skills, but also connect with themselves, their peers, the world around them and their place within it. Finally, there’s the PGL team. The staff on camp really know how to motivate young people and are adaptable in their approach to suit the way different individuals learn. Whether it’s activity instruction, leading a bush walk or singing songs around the campfire at the end of an action-packed day, the PGL team make a difference. Because to them, there’s nothing more rewarding than helping young people re-discover their self-belief and watching them leave camp walking a little taller.